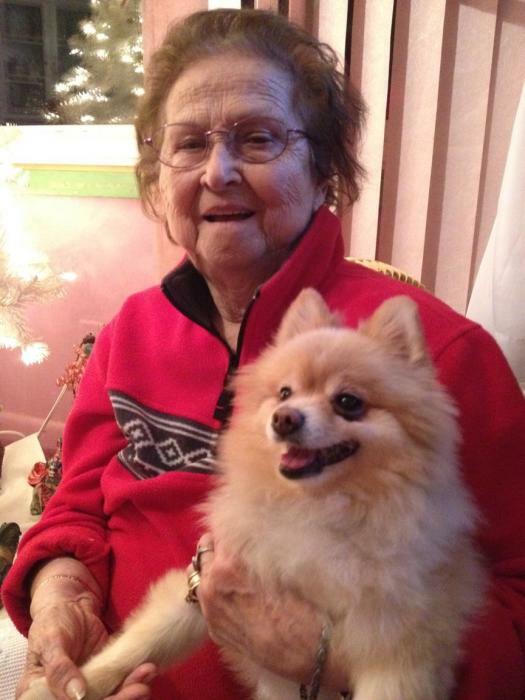 Elodia De La Garza Gonzalez, 88, of Mattawan, MI, passed away peacefully surrounded by her loving family on January 14, 2019, in Kalamazoo, MI. She was born on November 27, 1931, daughter of Napoleon and Estella De La Garza, in a small town in Mexico. Elodia met her Husband Alfonso and they were married on October 29, 1948. She was a migrant worker who traveled to the Unites States with her children by her side and saved enough money to build a home for them in Mattawan in 1969. She was a faithful woman of God and a fierce catholic. Surviving are her Daughters, Esther (Lupe) Posada, Maria "Lucy" (Carlos) Alfaro, Mary (George) Nieman, Sulema (Xavier) Ramirez, Aurora (Alan) Wallace, Maria Ida Serratos, and her only Son, Cris Gonzalez. Grandchildren, Mauricio & Oscar Posada, Santos & Teresa Alfaro, Elena Nieman, Raquel & Matthew Ramirez, Cory, Taylor, Jesi, and Karly Wallace, Sierra & Whitney Henley; Great-Grandchildren, Facio, Lilly, Ari, Harlow, Mathias, Ilaria, and Quinn. Brothers, Rumaldo (Eva) De La Garza, Gilberto (Francis) De La Garza, Leoncio (Juanita) De La Garza, Art (Margaret) De La Garza, Guillermo De La Garza, Ricardo De La Garza; Sisters, Andrea (Paul) Quick, Dora (David) Sauceda, Elizabeth De La Garza and a host of other loving family and friends. Elodia was preceded in death by her parents Napoleon and Estella; Her husband Alfonso Gonzalez; loving Grandson. Aaron Nieman and her Brother, Eddie De La Garza. Elodia loved to go to the midnight movies and enjoy a margarita. She loved to garden and tend to the fruits of her labor. She also enjoyed staying home and being surrounded by her loving family. They were her life; She enjoyed gathering as much of the family together as possible every weekend for bonfires, food, laughs and memories shared. Elodia loved the holidays. Every New Years Eve she made elephant ears with Mexican chocolate. Tamales were prepared with so much love for every Christmas celebration. Her kind and giving spirit will be cherished by all those she leaves behind. Services will be held at St. John Bosco Catholic Church, on Friday, January 18, 2019, at 11:00 am with Father Jorgenson and Father Perez officiating. Interment will follow in Mount Ever-Rest Memorial Park, Kalamazoo, MI. Friends will be received at Adams Funeral Home & Cremation Services, Paw Paw, on Thursday, January 17, 2019, from 2:00 pm - 4:00 pm & 6:00 pm - 9:00 pm with a rosary service at 8:00 p.m.